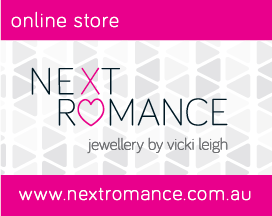 vicki leigh jewellery design: Big Dreams, Small Details. August has been a big month for me, with back-to-back Finders Keepers Markets, Melbourne & Adelaide, and rebuilding a smaller version of my market popup so it could fit into 2 large suitcases. I can believe it actually happened..... 99.9% determination. The Dreamcatcher was displayed late July at the Melbourne FK market and I got some great feedback from there. It then got installed into the window at Kelli Vizzari's new pop-up store, The Make-It Collective, in High Street Northcote (Melbourne). I was originally invited to be part of the pop-up store to sell jewellery. When I chatted to Kelli she was so flexible and encouraging about the idea of having my giant dreamcatcher in the window. So I submitted my pitch to Craft Victoria and my idea was accepted. It's currently up in the window on High Street until 31st August, and lit up at night too which is just gorgeous. 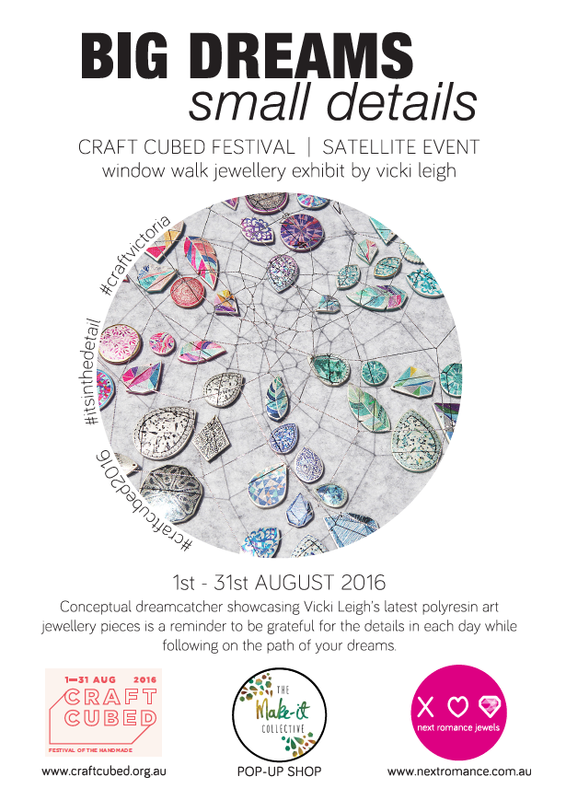 Big Dreams, Small Details is a large conceptual dreamcatcher showcasing a range of my (Vicki Leigh’s) polyresin art jewellery. Created for the Craft Cubed Festival’s theme “It’s in the detail” it is a reminder to be grateful for the details in each day while persuing the path of your dreams. As part of the Dreamcatcher theme I've created a new range of beautiful Watercolour feather art pendants and earrings. Now available online and at The Make-it Collective store.